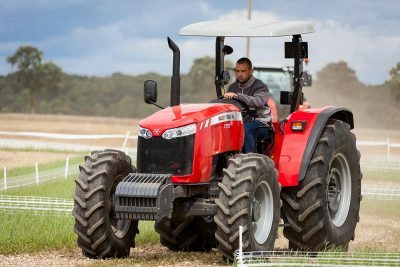 Massey Ferguson knows exactly how crucial it is that a tractor meets the challenges that nature can put in the way of any farming activity. With the Global Series, each component and every assembly has been designed to ensure rock-solid reliability and dependable operation. 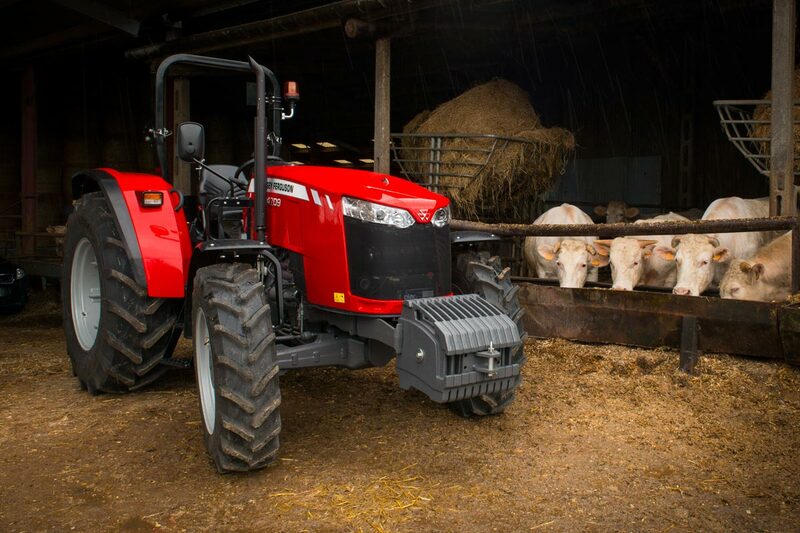 The practical, straightforward MF4700 series is available in two specifications – ‘Standard,’ and ‘Essential’. Both feature a 12 x 12 synchromesh transmission, with the Standard specification offering mechanical clutch operation, and the Essential specification featuring hydraulic operation and a Power Control shuttle lever, for clutchless forward and reverse shifting. 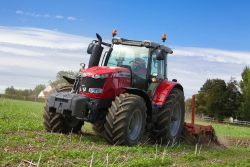 MF 4707 – Proven power, perfect package – Renowned for compact, proven power and fuel efficient reliability, a 3.3-litre AGCO POWER three-cylinder engine is at the core of the 74hp Massey Ferguson 4707 model, providing 296 Nm of torque at 1,500 rpm. 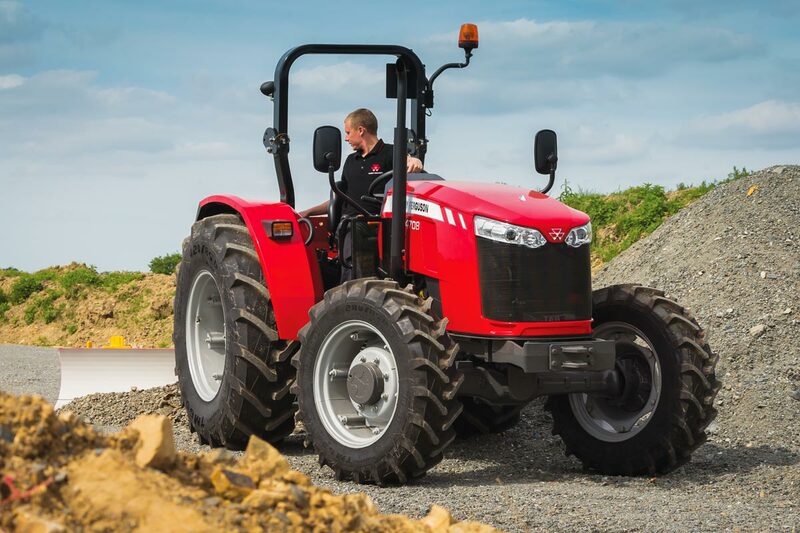 MF 4708 – The muscle to tackle any task – For proven reliability, ruggedness and fuel economy, a 4.4-litre AGCO POWER four-cylinder engine is core to the MF 4708 and MF 5700 Series models providing up to 410 Nm of torque at 1,500 rpm. The Massey Ferguson Global Series tractors feature all new synchromesh transmissions. With six automotive-style synchronised gears and a synchronised low to high range change, the total of twelve forward and twelve reverse speeds provide unmatched flexibility and easy use. Standard specification – Synchronised mechanical forward and reverse shuttle. Fitted to all Standard Variants is a simple, yet exceptionally easy to use synchronised mechanical forward and reverse shuttle located to the left of the operator’s seat. Clutch operation is a simple and effective mechanical dry-plate type giving great functionality in a cost effective package. Essential specification – Power shuttle – Forward to reverse as quickly as you like. For the ultimate in forward and reverse shuttle operation, the Essential Variant is available with the Massey Ferguson Power Control Lever. 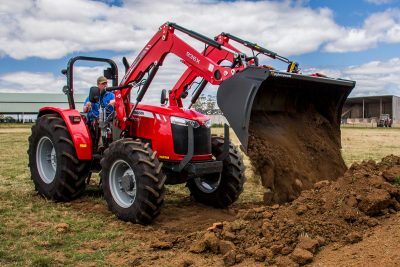 Similar in design and operation to the Power Control Lever featured on Massey Ferguson products such as the MF 7700 and MF 8700, the new Power Control Lever is located to the left of the steering column and features Comfort Control to alter the aggressiveness of the direction change. 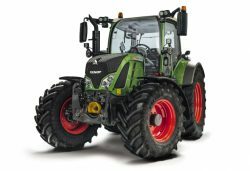 Coupled with a multi-plate wet clutch and the 12×12 synchromesh transmission, this gives the operators a highly flexible and easy to use system designed for operations such as loader work where frequent changes of direction are required. There is no limit to the range of powered equipment that can be put to work behind the Global Series tractors. All are fitted with a 35 mm/six-spline PTO shaft providing a 540 rpm PTO speed and protected by an independent PTO clutch (IPTO). 540/540E is base on all Global Series Essential models. The gear pump open centre hydraulic system produces 65L/min for the MF 4700 Series. 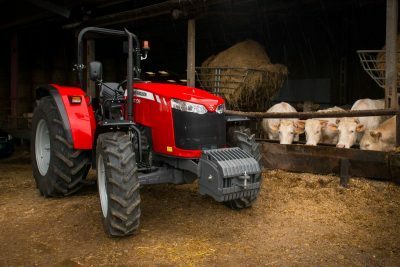 This also supplies the electronic controlled rear-linkage to give a lift capacity of 3,300kg. Please download the brochure to see specifications for all of the models in the range.